Russian President Vladimir Putin (R) and Cuban leader Fidel Castro stand side by side by during Putin's official welcoming ceremony outside Havana's Palace of the Revolution in December 2000. ​Politicians and the public react to the death of a figure who was a symbol of the Cold War in the Western hemisphere. Fidel Castro, the leader of Cuba’s Communist revolution and one of the most notable figures of the 20th century, has died at the age of 90. His death was announced by Cuban state television. Castro swept into power in January 1959 and ruled his island nation until 2006, when he stepped aside in favor of his brother Raul. Castro, who throughout his life promised that Cuba would “never stop fighting for peace and prosperity for all people,” remained an idol of left-wing politicians and revolutionaries until his last days. In Russia, which always maintained warm relations with Cuba under Castro’s rule, the news of his death was met with sadness by many. Flowers in his memory were piled outside the residence of the Cuban ambassador in Moscow. “The free and independent Cuba that he and his associates built has become an influential member of the international community and has served an inspiring example for many countries and nations,” Putin said in a telegram addressed to the people and government of Cuba. 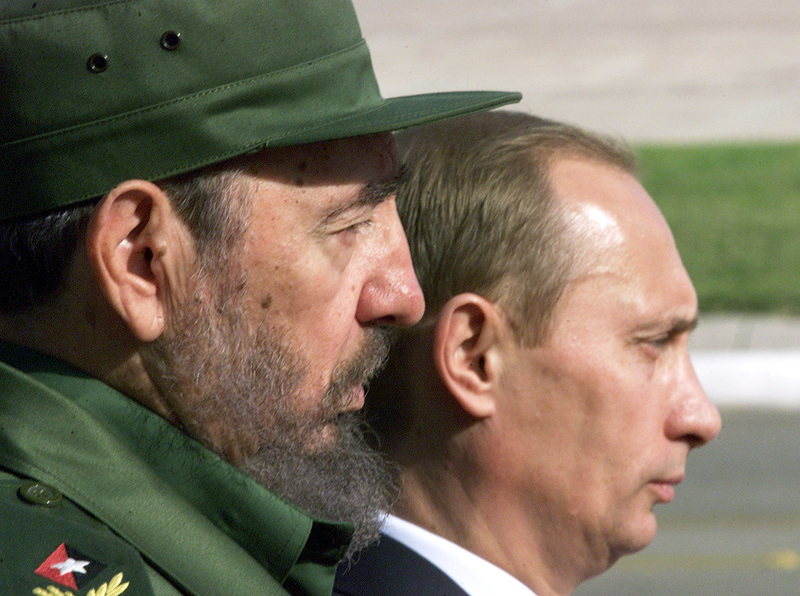 Other Russian political figures also expressed their sympathy at Castro’s death. “Castro was one of the Greats, those who have changed the world,” tweeted Alexei Pushkov, the former head of the State Duma’s International Affairs Committee. The head of Russia’s Communist Party, Gennady Zyuganov, called the Cuban revolutionary a moral authority for humanity. “One of the political titans has died, a statesman, a person who has laid the foundations of ethical politics, politics that primarily concerned themselves with the fate of an ordinary man, with a decent life for working people and with a happy world,” Zyuganov said in a statement. Fidel Castro’s “profound mark on history of the whole humankind” was also noted by Mikhail Gorbachev, the first and last president of the Soviet Union. Writing on Facebook, Russian Prime Minister Dmitry Medvedev recalled how he had spoken with Castro on the phone when he was celebrating his 90th birthday in August. “He took a keen interest in what was happening in the world, in Russia. To the very last moment, he maintained an acute mind and kept a lot of information in his head,” Medvedev wrote. Opposition figures and bloggers as well as some experts expressed different views from those of the establishment politicians. "I am convinced that panegyrics to Castro are now coming from those who have never been to Cuba. Whereas I have. Main impressions: POVERTY, RUIN, EMBEZZLEMENT," opposition leader Alexei Navalny wrote on Twitter. A remembrance of Castro published by Russian daily Kommersant noted that Castro would forever be a divisive figure. People “will always argue about whom Fidel Castro became ‘a bloody dictator' or 'a great fighter against American imperialism' — just as they now argue about Joseph Stalin or Ivan the Terrible," the story reads in part. Castro’s main legacy, according to Latin American scholar Viktor Kheyfets, is the creation of “a model of an independent and sovereign foreign policy of Cuba,” adding that his other legacy – an authoritarian political regime – is something that not many of his supporters would be proud of. “That phrase became a famous quotation, but decades later, it is clear that there will be no absolution and that bitter arguments between ‘castristas’ and ‘anticastristas’ will not end even when Cuba becomes a typical (or almost typical) Caribbean country,” the Kommersant story concluded. “The Cuban economy has remained monocultural: no matter how hard the authorities tried, they have failed to overcome it. Indeed, Cuba has managed to survive. But it is unlikely that such was its goal,” Kheyfets said in comments to Kommersant.